If you follow me on Twitter and Facebook, you might have noticed I’m pretty fond of those Japanese noodle soups called Ramen. A few months later I read the 1st issue of magazine Lucky Peach (founded amongst others by Momofuku Chef David Chang), which was entirely dedicated to Ramen! 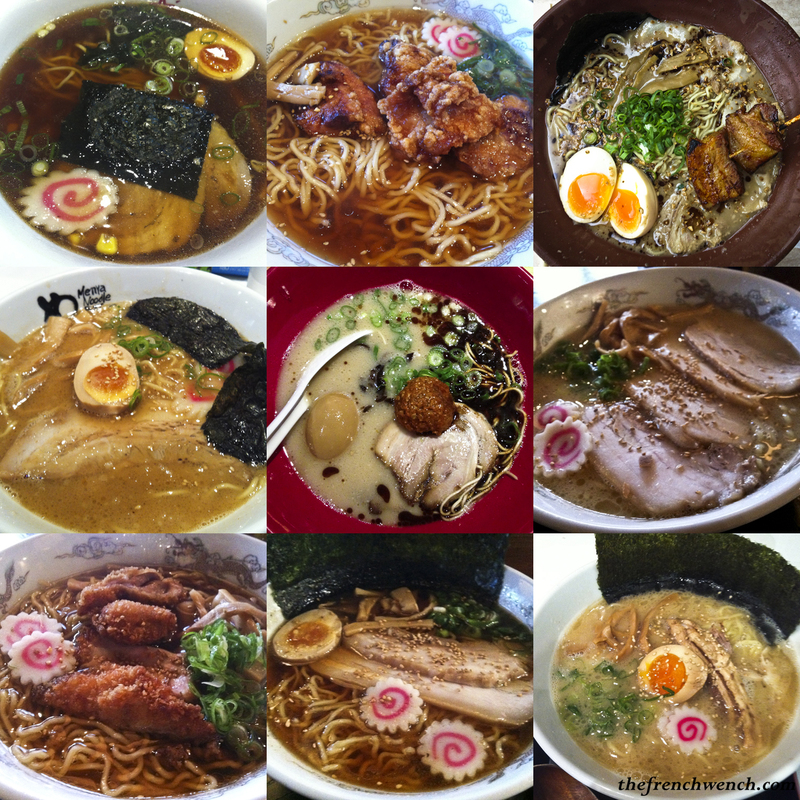 It was fascinating to see the time dedicated by chefs to cook the perfect noodle, the perfect broth, the perfect egg, as well as the dozens and dozens of varieties of Ramen that could be found in Japan according to the regions. I was already confused with all the different broths, but that magazine confused me even more! For a while I also had my eyes on the lunchtime-only ramen offered by Robuchon-trained Chef Haru Inukai at fine-dining restaurant Blancharu in Elizabeth Bay (see this post by blogger Ramen Raff), and therefore was really disappointed to hear that he had sold his restaurant earlier this year… Fortunately not long after, I saw on the same blog that Chef Haru Inukai had opened a new place dedicated to Ramen in Chinatown! 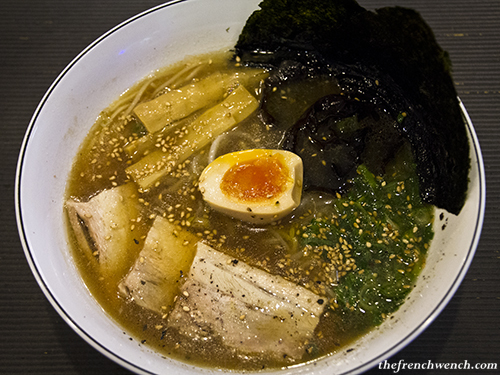 I kept hearing and reading about his new place Ramen Ikkyu everywhere, so it was no long before I made my way there accompanied with two other French friends. 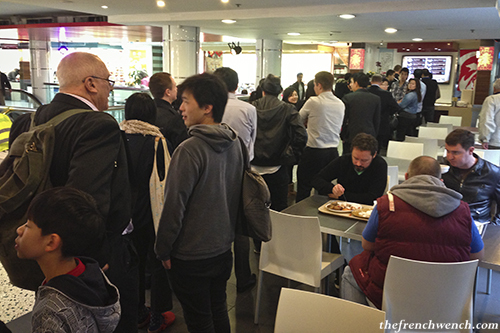 We gasped when we saw the queue, which looked like it was never-ending! We finally made it to the counter, it took us about 20 minutes: the service was quite fast considering! The menu was pretty short & simple, which I like, as it makes for an easier decision-making. You had the choice between two different broths bases: Ikkyu, a pork-based broth, and Tokyo, a chicken-based broth, a bit lighter than the first. Then you had to choose the seasoning of the broth between Shio (“salt” or natural), Shoyu (soy-based) & Miso (pure “umami” stuff!). We all ordered the Ikkyu Shoyu Ramen. 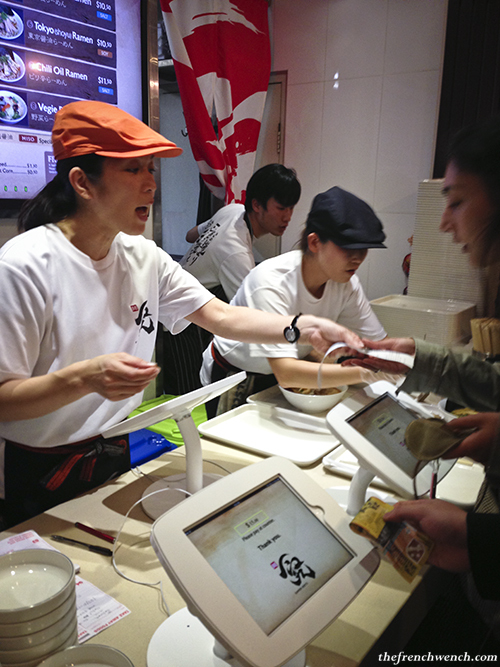 It was pretty fun to play with the touch-screen pad ordering system! And pretty painless. I would have liked to see some black garlic oil, in addition the chilli oil in the options, but there was some fresh ground garlic in the self-serve condiment section. Et voilà! Maybe 5 minutes later my friends came to the table that I managed to bags with the much-anticipated ramen bowls! Maybe my expectations were too high, but I was slightly disappointed with this one. I would have liked to have both halves of the soft-boiled egg rather than just one, and I thought my noodles were a bit soft… but that might have had to do with my wasting time taking pictures and getting more condiments! So pretty much my fault… Other people who had it that day also told me it was not as good as usual, which would be understandable seeing how busy the place has been, a few days only after opening! All this is only a training for when we go on our trip to Japan… one day. In the meantime, I feel lucky to live in a city where you can get great Japanese food that’s pretty close to the real thing! This entry was posted in Restaurants and tagged Japanese, Ramen. Bookmark the permalink. That shot of Mori-san looks awesome! I love all the ramen places but my beloved Gumshara will always be my no.1! Nice review! Thank you so much Raff! Matt says thank you too about Mori-san pic. 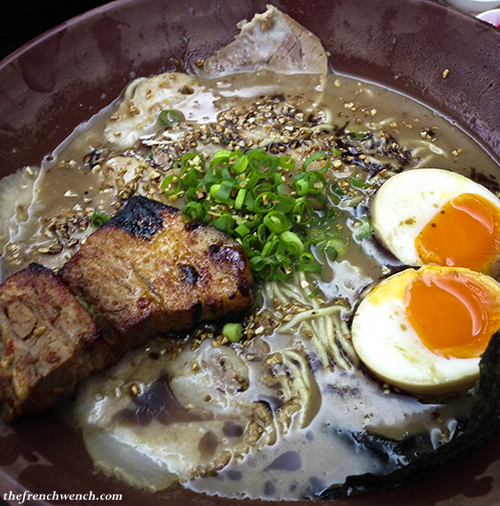 I gotta say, I can’t go past his Black Garlic Ramen, so Gumshara is still up there for me too! 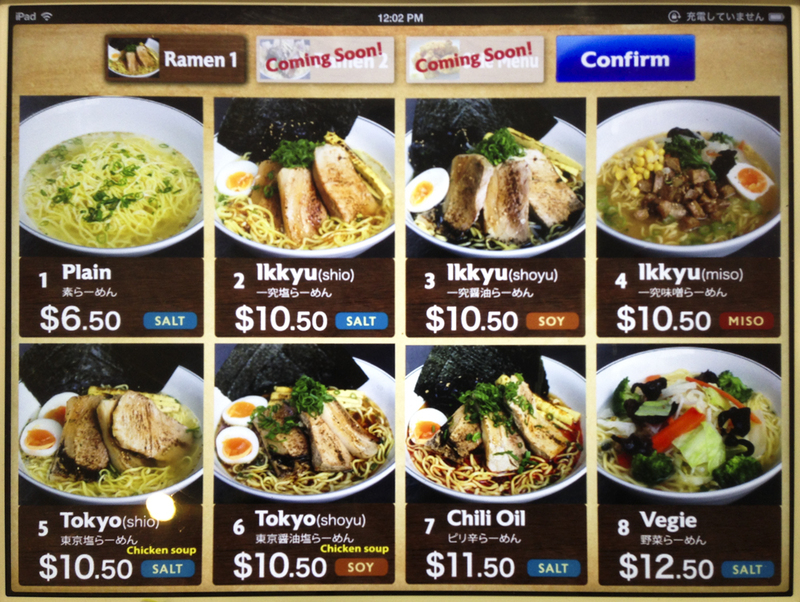 Ramen fever has definitely hit Sydney. 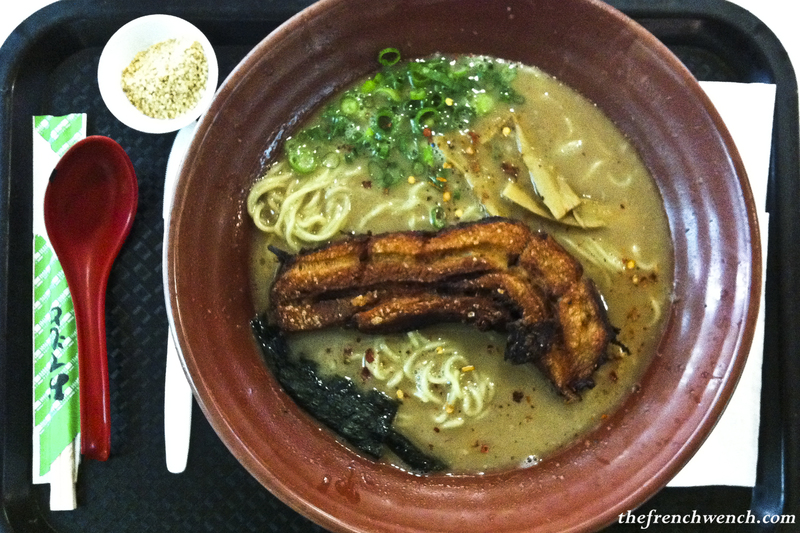 Love that there’s so much choice and variety of broths and noodles – enough to satiate every craving! 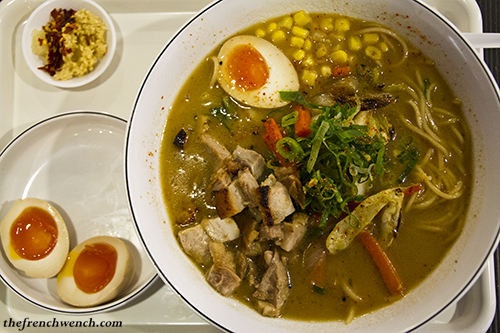 Great post – ramen is an obsession that currently has Sydney within its hold! 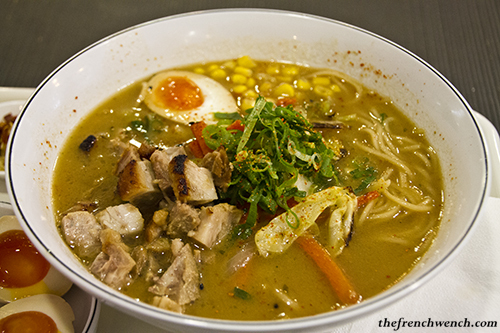 Perfect winter food, there will be many more ramen places popping up in the near future I think! Indeed and yay to that! Damn, really got to get myself there soon! I think I know *what* I’m having for lunch today. The questions of *where* is now much more difficult! Craving for asian cuisine! Where’s the best japanese restaurant? crave for ramin and sushi’s!. sushi rolls like those in Nice France, there the So Good Sushi Restaurant.